New Orleans is known for its bayous, festivals, and history, but many people also flock to the Big Easy for its cuisine. The infusion of Creole, African American, and European influences have had a profound impact on the delicious spices and decadent dishes ranks the city high on the list of food capitals. First things, first. Cafe Du Monde is a visit you must take while in New Orleans. Their beignets are world famous. The fried fritters are filled with rich chocolate and, occasionally, fruit. 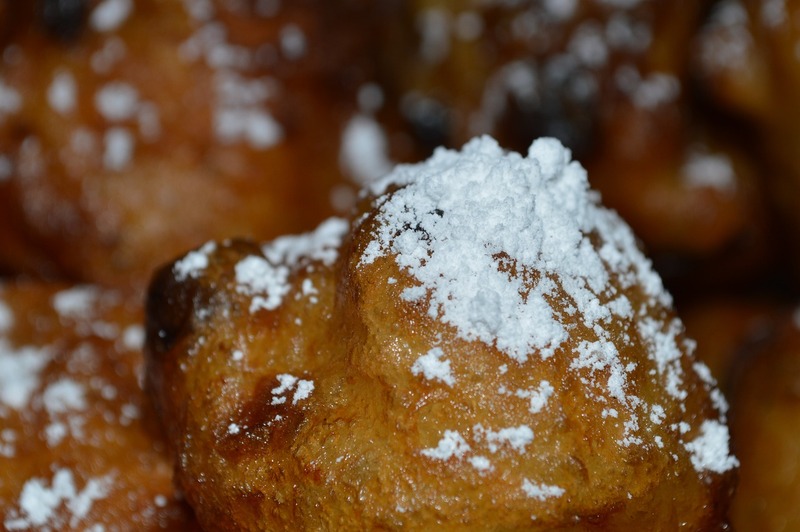 Brought to Louisiana by Acadians, the beignet has transformed into a square piece of dough, fried and topped with powdered sugar. Go with a friend because there are three per order–or eat them all yourself! A New Orleans treasure, long Friday lunches at Galatoire’s are a New Orleans tradition. The legendary seafood gumbo is a must-try. You should also indulge in the souffle potatoes with a side of Tabasco dipping sauce mixed with powdered sugar; it’s a flavorful local favorite! The establishment is so popular that it has been named one of the top ten restaurants in the world by The New York Times and the Best Gumbo in New Orleans by Southern Living. The restaurant gets packed so arrive early and try their boozy brunch drinks! If you live or visit New Orleans, you must try the seafood. At Domilise’s, try the Po Boy, a New Orleans food that has helped put the city on the food map. The freshly-caught shrimp is battered and fried and placed on crispy Leidenheimer bread and is well worth the wait in line. Make sure to get it fully dressed with ketchup, mayo, and pickles; the locals would approve. Other noteworthy plates contain oysters, roast beef, and sausage. The restaurant might seem like a little inconspicuous, but it was honored with the James Beard Award for the best classic restaurant in America’s Southern Region. The attention turned the establishment from a local eatery to a nationally recognized restaurant. Food Network and the Travel Channel deemed the restaurant as America’s Best Fried Chicken. Located in the 6th ward, just around the corner from the Treme and French Quarter neighborhoods, the spot will be a highlight of your food tour in NOLA. The highly-rated restaurant is a combination between a butcher’s shop, wine bar, and a sandwich counter. In short, you can find mostly anything you’re looking for at this casual New Orleans restaurant. From small plates to daily lunch specials and mouth-watering dinner entrees, the Butcher offers housemade meats, handpicked fresh cuts, terrines and sausages, and pre-made meals. Make sure to compliment the meats with their housemade pickles, jams, and sauces. As highly creative bonus, you can explore the curated collection of handmade knives, cutting boards, and other Cochon merchandise and kitchenware. Food critics have called this spot the best BBQ joints in the city. It’s not hard to understand why once you taste the tender meat and sauces of The Joint. Originally established in 2004 in the Historic Bywater District of downtown NOLA, the restaurant has been named in the top 10 BBQ spots in Bon Appetit and Zagat. The huge drum smoker in the back of the restaurant fills the place with mouth-watering smells. The brisket, pulled pork and fixing like mac n cheese, coleslaw, and grits are well-worth the visit. Plus, most meals on the menu are cheap to moderately priced. You can get a pulled pork sandwich with one side for $7.50. While you go about your food tour, you can also explore the rich history and culture that the tastes of New Orleans have to offer. It’s always fun to explore foods that you can’t get anywhere else in the world. Make sure New Orleans is on the top of your list!